Sambar is not an elephant. It’s soup. A wonderful spicy fresh vegetable soup. 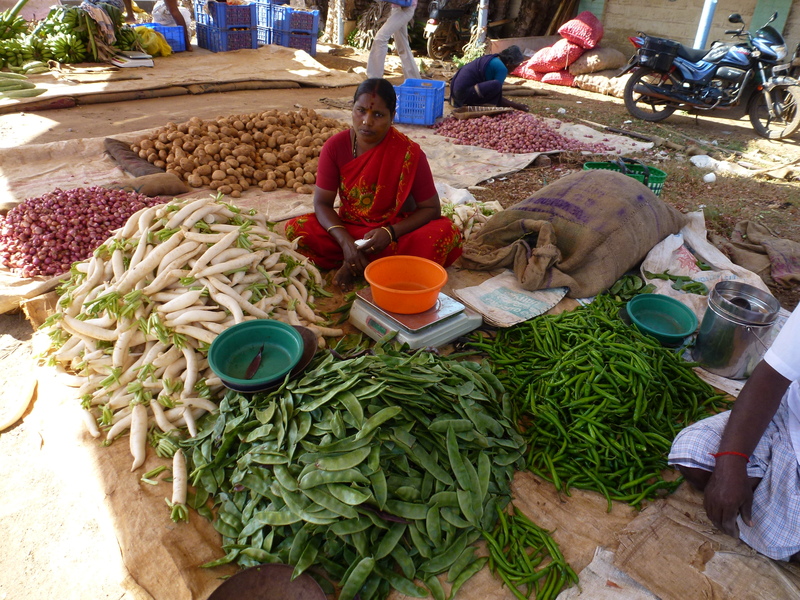 The vegetables in India vary from place to place so the soup varies a little but there are always yellow lentils and tamarind in it, lots of spices and herbs. Millions of South Indians love it for breakfast and so do I.
Ross’s allergy to coconut and nuts has actually been a bonus here. 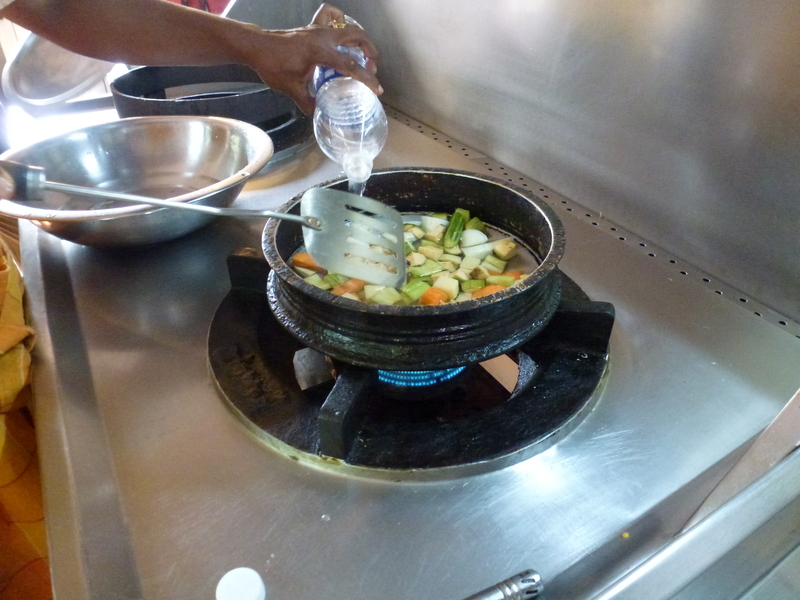 Everything on the menus has coconut or cashew in it, so the waiters often ask the chef to come and help us figure out what to eat. 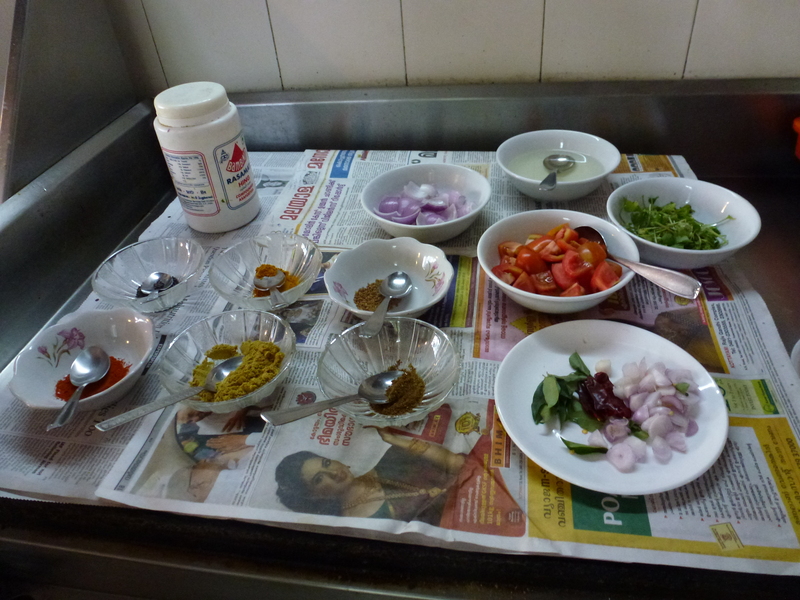 You could say that we’ve been talking our way around the kitchens of India. It’s been fun getting to know the staff. The chefs are always proud to prepare something especially to suit us. 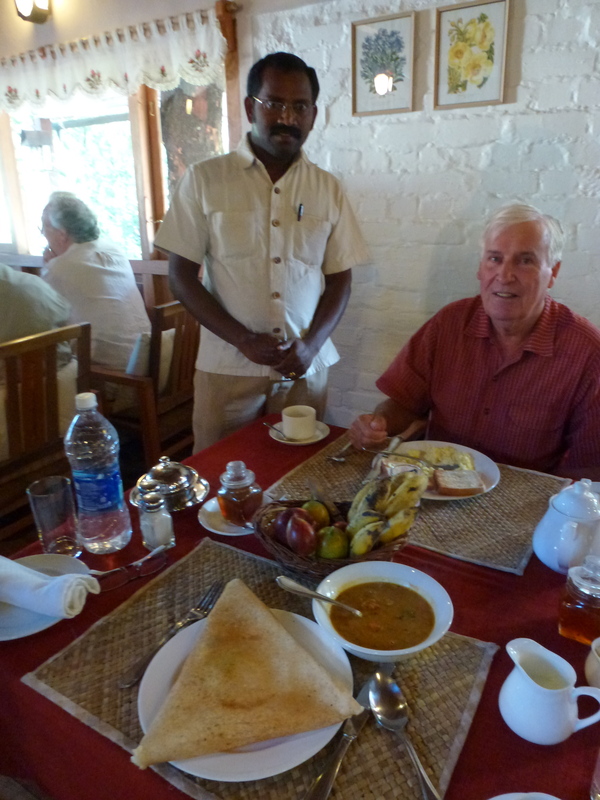 Binot, the chef at Windermere Estates near Munnar, invited us to come into his kitchen for a cooking lesson. 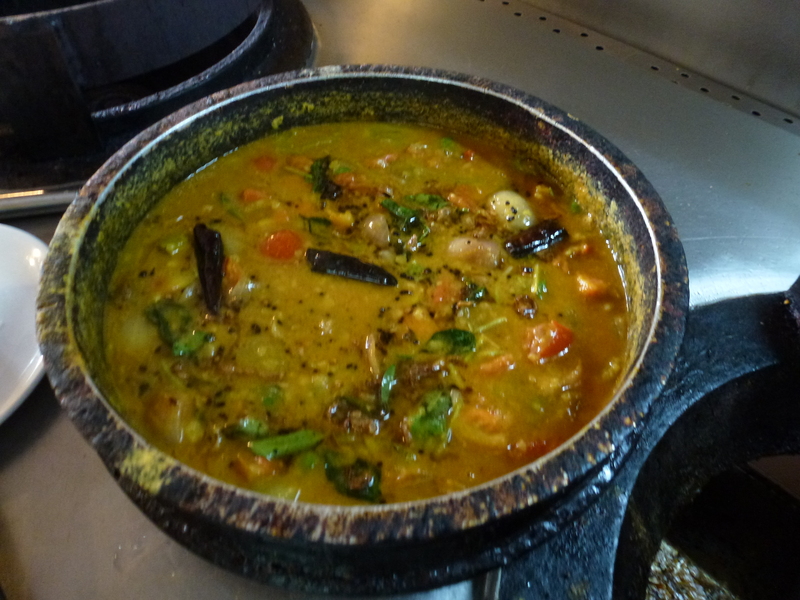 I wanted to learn how to make Sambar (without nuts). I’ll have to experiment with our vegetables at home but here are a few of the dozens of photos we took that day to help me create a written recipe at home. Loved hearing from you Elena. This place is truly “God’s own country” as the people here call Kerela. I’m enjoying receiving your blog. I look forward to catching up with everything soon. My 2 yoga classes, one meditation session, one areuveda treatment and 3 lovely meals very day keep me “busy”… and very healthy. I would love to start the day with a spicy vegetable soup jumped up with lentils. I remember having lentil soup in Turkey on a sunny morning — I still think of that as a perfect breakfast. Yes! Glad the lentils are taking over the egg sandwiches in the breakfast memory department. Thanks you for your lovely insight Sarah.